I had the pleasure of interviewing Kiana Cabell, Co-Founder of Kopari. I had the pleasure of interviewing Kiana Cabell, Co-Founder of Kopari. 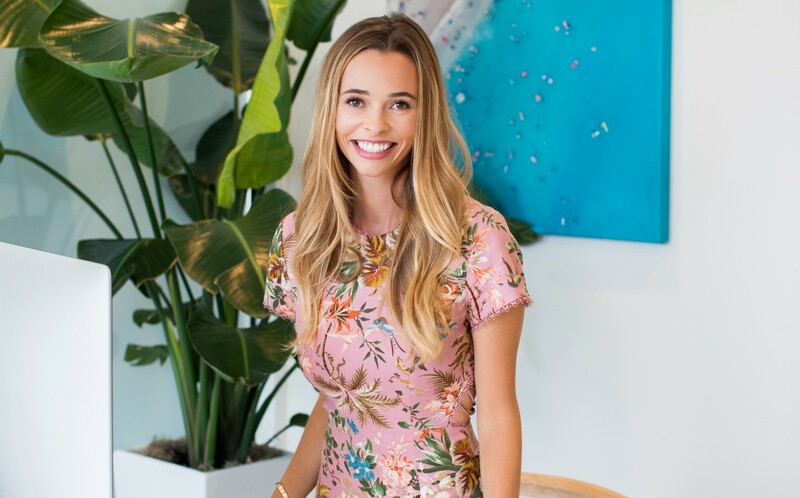 Alongside industry veterans Bryce and Gigi Goldman and consumer health entrepreneur James Brennan, she founded the first premium coconut oil-based beauty brand in the U.S. In just three years, Kiana has helped the brand grow a sizable digital footprint, expand the brand into traditional consumer retailers like Sephora, Ulta and Nordstrom, and welcome investments from L. Catterton and celebs like Karlie Kloss, Hilary Duff, Shay Mitchell, Ashton Kutcher, Jared Leto and Mila Kunis. I was born in Hawaii, and was super passionate about following a natural beauty routine at a young age. I used to make my own skin and hair treatments from ingredients I found on the island, especially coconut. I eventually left Hawaii and went on to study integrative health and nutrition at New York’s Natural Gourmet Institute, which further exposed me to the versatility and health benefits of coconut oil. When I graduated, I was introduced to Bryce Goldman, beauty entrepreneur, and James Brennan, founder of Suja Juice, and the rest is history! I grew up using coconut oil for just about everything (cooking, beauty, etc.) and I realized that no other brands were taking advantage of coconut oil for beauty. Seeing that gap in the market, I worked with Bryce, Gigi and James to provide the industry’s first coconut-powered lifestyle-beauty brand. For us, it’s important to focus on the quality of the ingredients in delivering that luxury experience to our customers. To that end, our small batch coconuts are hand-picked at peak quality, never exposed to extreme temperatures and ever-so-carefully cold pressed. This, along with the incorporation of other innovative natural ingredients that enhance its benefits, creates a truly premium product. It’s a difference you can feel, and we love that! Not only are we the first brand of our kind creating premium, coconut-oil based beauty products, but we are also able to successfully break through to the millennial demographic in all aspects of our business. We talk to our consumers the same way you would talk to your friend, and we try to remain authentic in everything we do. As consumers grow increasingly aware of ingredient sourcing and efficacy, only the truly authentic brands will have the lasting-power a brand needs to meet their ever-evolving needs. We aim to offer better-for-you products that meet the savvy consumer’s needs in every aspect of their lifestyle, from skincare to bodycare, to our most recently launched personal care line. For me, my partners have truly been my mentors along this incredible journey of launching Kopari. We all bring something totally different to the table and i have learned from each and everyone of them along the way. A huge focus for us right now is expanding our personal care line. With the launch of our Coconut Deodorant, we were able to utilize the power of coconut oil to create a natural deodorant that actually works. We want to continue to provide natural alternatives to otherwise stagnant market segments. At the core, we are all about finding a way to give consumers what they want and need, but are having a hard time finding with what is currently available. We have some really exciting new innovations across our category lines launching in the rest of 2018 and into 2019, so stay tuned! Mistakes — Accept that you learn from mistakes. Just pivot quickly and try not to make the same ones again. Happiness- No matter the state of your business, it’s always key to listen to your customers and keep them happy. Customers have the most immediate feedback and relevant ideas. Intimidation — Don’t be intimidated by what you don’t know. When I first started Kopari I felt very intimidated. I had never launched a business before, but what I value the most about the experience is how much I have learned along the way. Team- Having team members who are smarter than you is essential for a fast growing company. Don’t let your ego get in the way and learn from your peers. My favorite podcast right now is MyDomaine’s Second Life. It highlights successful female entrepreneurs who have succeeded in making expert career changes. I love hearing the stories of how some women who I really admire (like Jen Atkin) went from unfulfilling day jobs to their dream careers. The women also share tips for business owners, like how to find investors and build a badass staff, which have been really helpful for my business. Jen Atkin is a fellow Hawaiian whom I look up to, as we share similar parallels in the startup world. Her fast growing hair care business, Ouai, is very forward thinking in their marketing approach. I would love to sit down with her and chat about growing pains, successes and learnings.